Are your customers left on hold too long, ending up in voicemail, or leaving messages to be manually routed somewhere else? Anybody in a service department knows the importance of a responsive, team-based approach to support. When a customer is standing still with a ready-to-harvest crop, a prompt and quality response from your team matters more than ever. Customers are kept and lost in these moments. Make your team accessible, especially during peak seasons. Cory Ritter, a sales support technician for AMVAC Chemical, understands the importance of support accessibility, especially during peak seasons. The AMVAC team used AgriSync's VoiceHub™ during their busiest season to answer over 98% of incoming calls from farmer customers on the first call. "VoiceHub was a phenomenal asset to us in keeping our growers in the field up and running. We took over 420 calls in the season. Only five of those calls were not answered by a live person. Three of those calls came in after midnight and the other two that we missed were returned within seven minutes of when the grower first called in." Mobile teams can't rely on traditional call centers. In agriculture where experts are constantly on the road putting out fires, hiring a team of people to sit behind a desk and field support calls doesn't make sense. By using VoiceHub as a mobile call center to simultaneously ring a team of experts, AMVAC answered nearly all of their incoming support calls without the expense of a traditional call center with customer service agents tied to desks. Farmer customers don't want to get sent to voicemail. AMVAC was able to increase the odds of farmer customers connecting with expert advisors on the first call, and customers didn't get lost in personal voicemail boxes or hear the dreaded "this mailbox is full" recording. Most importantly, customers were back up and running quickly. "We’re able to keep guys up and running, moving, in the field, and as productive as they can possibly can be. We know when a farmer is in the field planting corn, his main goal is to plant corn. We want to keep them up and running so that is not a barrier from getting that job done. VoiceHub allowed us to keep guys running and in the field and being productive and have less trouble with our system." Increase the odds customers connect with your team. 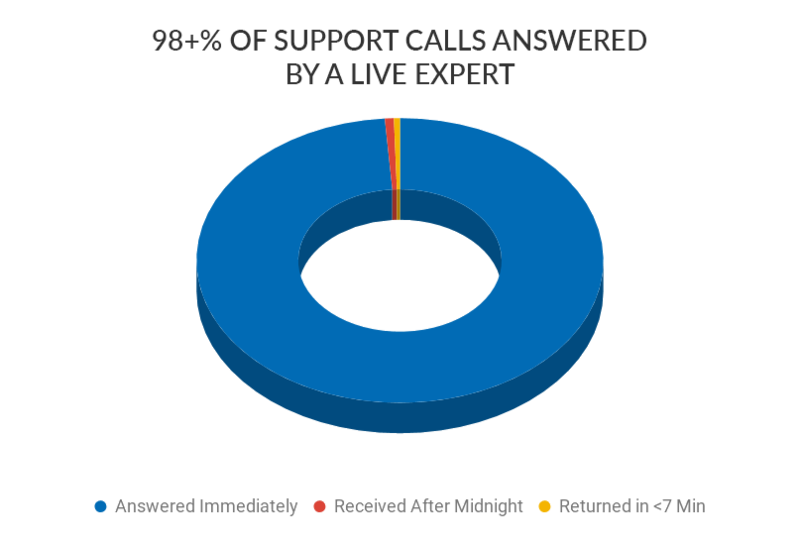 A responsive and available support team is crucial to making sure customers are happy. Learn more about VoiceHub™ to simultaneously ring your team, free your voicemail, and track your time.